The Vancouver Heritage Foundations has selected Kate Swatek’s suite, including the renovation by Larigakis Architecture, within the historic Queen Charlotte Apartments in Vancouver’s West End, as a highlight of the 2015 Heritage House Tours. Built in 1927, the building has been exceptionally well maintained and retains many original features. The rooms in Kate’s apartment are generous and well-proportioned and have high ceilings. Having great spaces with good natural light is at the core of any building’s longevity. This building also has many fine details including its doors, windows and hardware that make it exceptional. Like many apartments of its era, the kitchen was less well designed than the rest and was functionally inadequate for today’s cooks. Previously renovated, the kitchen was poorly laid out and unpleasant. The new kitchen combines two small rooms into one larger combined cooking and eating area with new millwork, lighting and appliances. 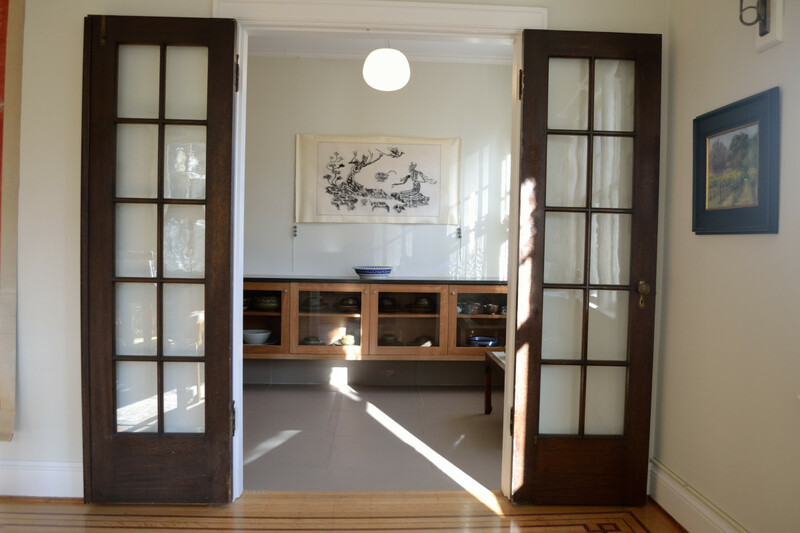 This client, a professor of Chinese Literature at UBC, wanted the renovation to suit her needs while being sensitive to and respectful of the buildings heritage. 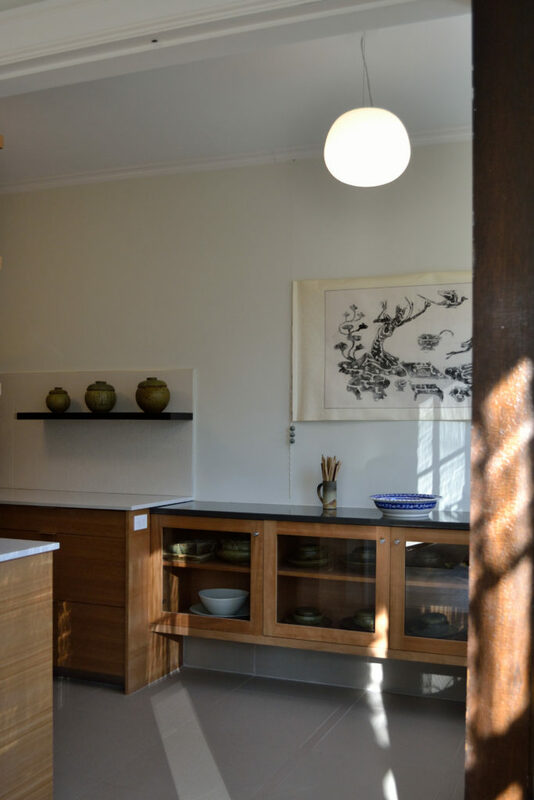 What evolved was a kitchen incorporating display space for her collection of east asian ceramics.